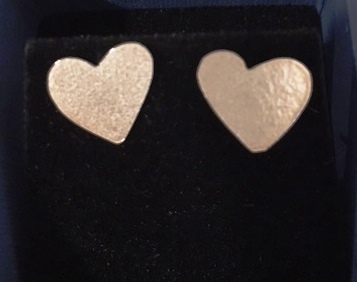 A pair of sterling silver heart shape stud earrings which have been textured using sandpaper through a rolling mill. This makes a nice sparkly finish without being too shiny! The hearts measure approximately 1.3cms x 1.3cms.